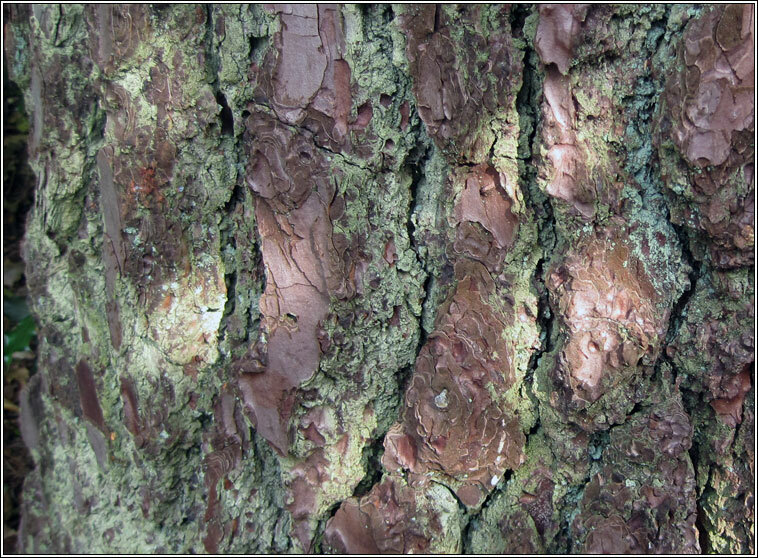 Finely granular, grey-green or whitish-grey granular thallus often forming a thick crust. 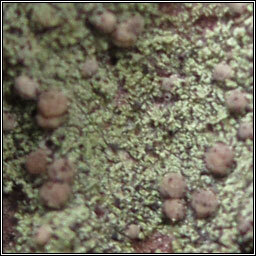 Pycnidia abundant, greyish-brown and usually with thin white pruina. 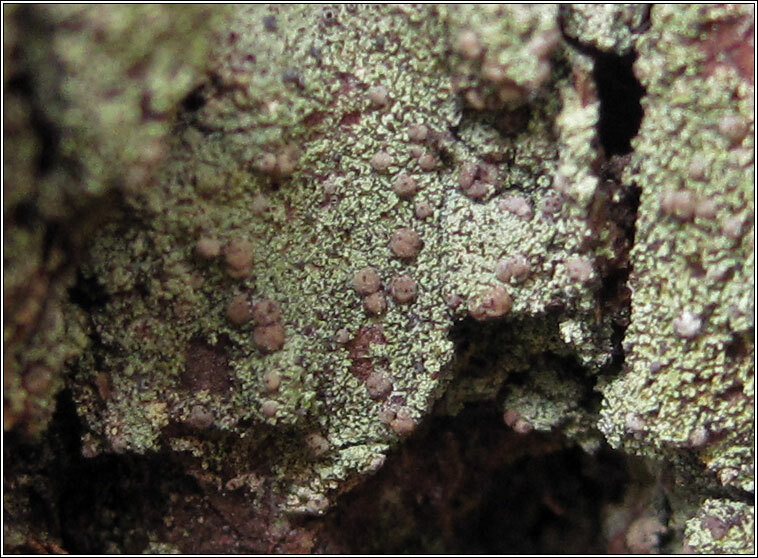 Apothecia less frequent, convex or sub-globose, pinkish-brown with white pruina. 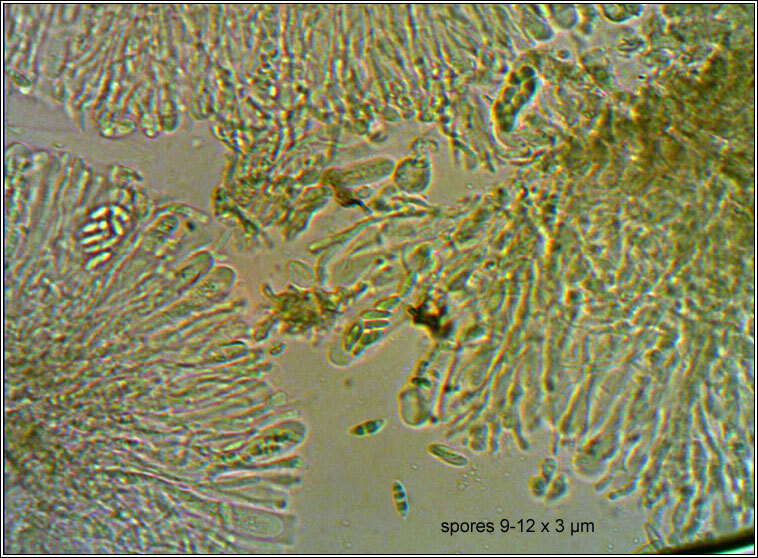 Spores(7-)8-11 x 2.7-3.7 µm. Micro photo below.